Hyde Park Superior Apartments offers accommodation in London in 2 buildings at 34 & 55 Inverness Terrace. Inside guests will find basic accommodation that provides the flexibility of self catering. 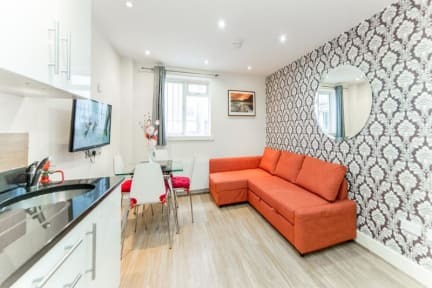 Enjoy living like a local whilst being based in the centre of London. 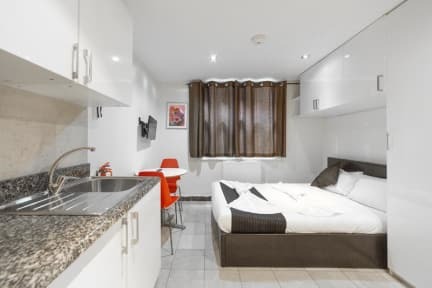 With Hyde Park just a few steps away, these budget friendly apartments in London make a great accommodation choice for guests wishing to be near to local amenities and tourist attractions. Tube stations are just around the corner, enabling guests to travel around this vibrant city easily. Westfield Shopping Centre is 20-minutes away by public transport. Reception & key collection address is 55 Inverness Terrace, Bayswater, London, W2 3JN.